Saturday 20th September 2014 – 7.30am – Claire Brown. A man was trapped in the wreckage of his car for an hour and a half this morning after a collision left his vehicle partially wedged underneath the back of a lorry. A paramedic area support officer came across the RTC involving two cars and a lorry between junctions 2 and 3 of the A46 in Leek Wootton, Warwick, at 3.45am this morning (Saturday). Two ambulances and a MERIT trauma doctor were sent to the scene. A West Midlands Ambulance Service spokeswoman said: “The collision had left one car half-wedged underneath the back of the lorry. The occupant, a man in his 40s, was trapped in the wreckage. The fire service used specialist equipment to lift up the lorry and move it forwards in order for the emergency services to reach the patient. “Upon assessment, the medics found the man had sustained a serious back injury. Whilst ambulance staff worked to administer pain relief and stabilise his condition, the fire service worked around them to cut away the wreckage. “Due to the expected prolonged entrapment, a second area support officer collected eight units of blood from hospital and bought it to the scene upon request of the MERIT doctor in case the patient deteriorated. After an hour and a half, the man was finally extricated and immobilised onto a neck collar and spinal board before being conveyed to University Hospital Coventry and Warwickshire for further emergency treatment. “The driver of the second car, a man in his 20s, sustained a head injury and pelvic injury in the collision. 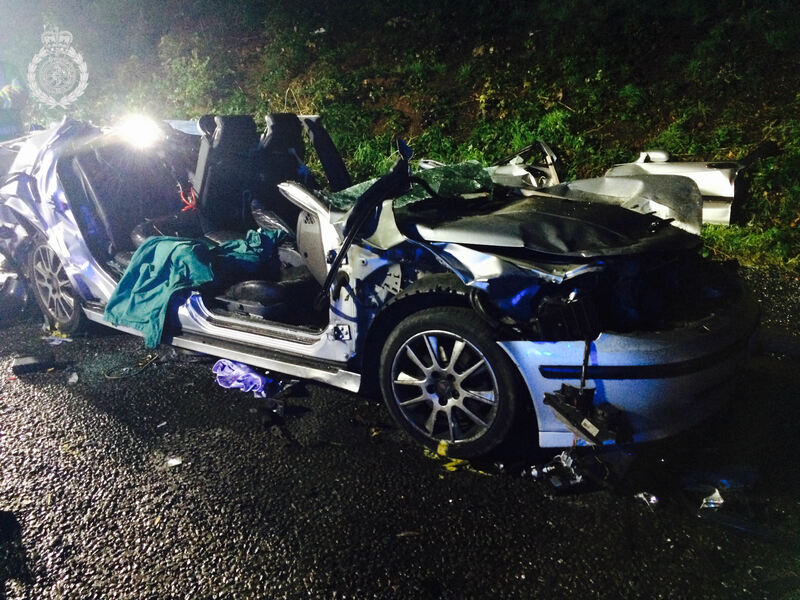 He was given pain relief and rapidly extricated before being immobilised and taken to the same major trauma centre.